Impress the girl of your dreams, express your love for your mom, or send joy to your little sister with opulent floral arrangements by MyFlowerApp. With more than 2 dozen flowers in each, you can go for alphabet flower arrangements or pick the number floral design. Just choose any of these arrangements costing above Rs. 2000 and we will deliver. Express the intense love for your life-partner with our very attractive hand-picked flower arrangement of 60 fresh red roses and pink-colored season flowers or orchids. Raise the intense love in your beloved’s heart too. 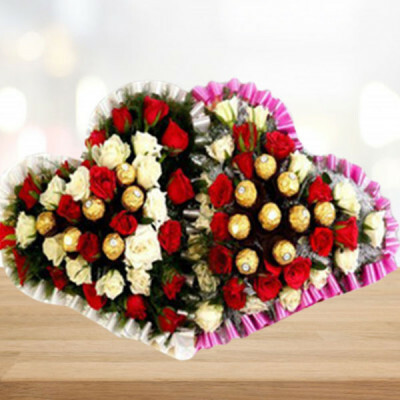 To make your special one feel extra special, gift them this alluring bunch of flowers. The bunch is perfect to convey love and happiness. 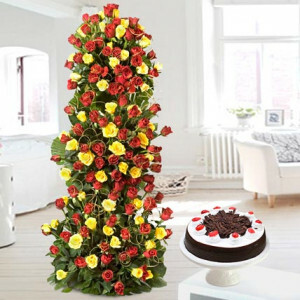 It’s a perfect gift for a birthday, anniversary, success party, housewarming or many other occasions. 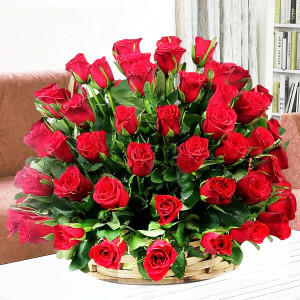 - Basket Arrangement of 100 Red and Yellow Roses. The flower is the most stunning formation of God which is like friends that they convey dazzling color in your life. 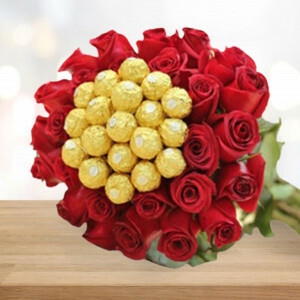 Delight your friends, relatives, family members, or dear one with this marvelous a bunch of roses.